Ok, I've heard about this a while ago but forgot until my friend posted about it on his blog. (Check it out HERE). 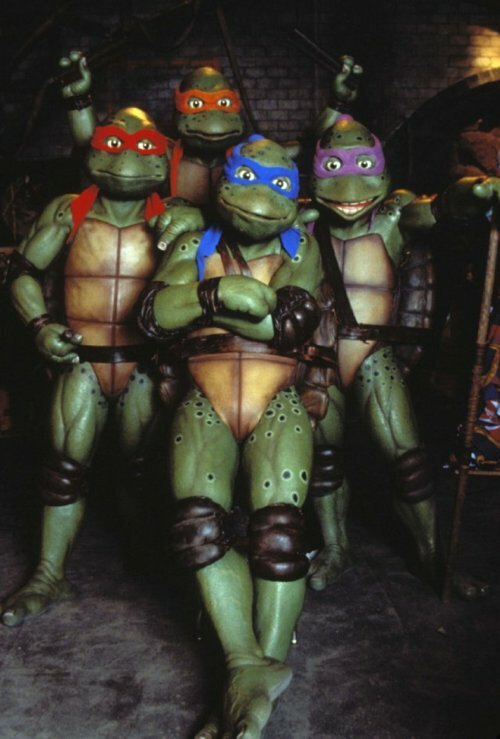 But, it seems that Michael Bay is going to reboot TMNT. Which, in and of itself, I don't have a problem with. I think it would be interesting to see what he does with it. However, I found out one thing he does want to do with it and no me gusta. HERE is what he said about his upcoming project. First of all, that sentence barley made sense. (But that's besides the point). The real problem is that he wants to change them from being "mutants" to being "aliens". What? Why? That doesn't make any damn sense. No, no it doesn't. But, I guess Bay wants the kids to believe that these turtles do exist. So, logically, by making them aliens, they become more realistic. Cuz everyone knows that aliens are more real than mutants. Wait, what? Don't these kids know that they are going to see a movie and that, kind of by default, those things don't exist? Yea, well, I don't even know. Maybe Bay is talking about a specific group of kids that are very impressionable. Hang on. If they are "alien", doesn't that mean they won't be "turtles" either, since turtles are kind of from around here? So, instead of making Teenage Mutant Ninja Turtles, Bay is going to make Teenage Alien Ninja Creatures. (And that is assuming that the aliens have a similar life cycle as us and are teenagers). Why doesn't he just make Ninja Aliens. Or, better yet, why don't we all just watch Alien vs Ninja? HERE is the trailer. I'm serious. It's a real movie. So now, I'm just confused. 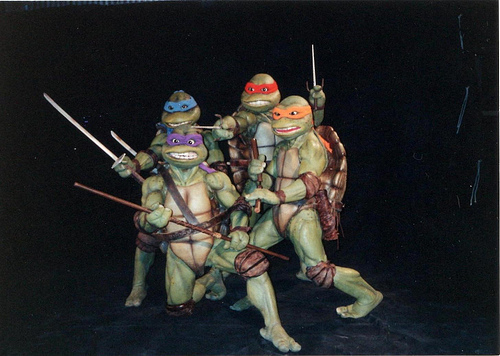 I'll just leave it as this: Michael Bay is making a movie which may, or may not, involve ninjas, aliens and turtles. They should speak Klingon too. That would be sweet. That doesn't make any damn sense! I'm pissed. It says "Mutant" is right in the name. And after Transformers (no offense, I know you're a fan), I'm afraid of what he'll do to my childhood heroes (in a half shell).